To provide an added service to our local market, we offer two daily deliveries to commercial customers within a certain radius of downtown Valdosta. Orders for same day delivery, must be placed before noon. Under uncommon circumstances and reasons beyond our control, we reserve the right to postdate delivery. Please inquire by phone to determine if your location and business is eligible for these delivery routes. 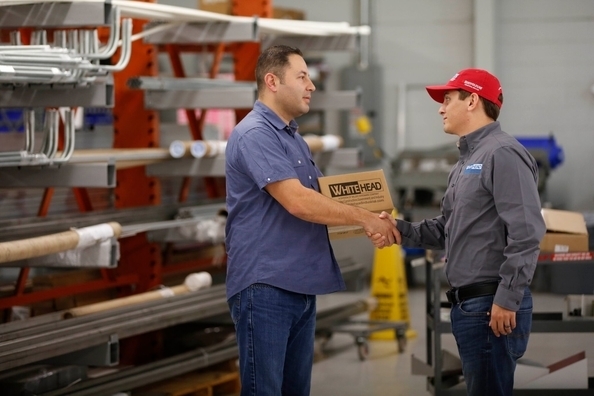 To better serve our regional market, Whitehead currently provides contractor delivery to several businesses, municipalities, and industrial job sites in North Florida and South Georgia. The current regional delivery area for Miller Hardware Company includes 37 counties in both Georgia and Florida.